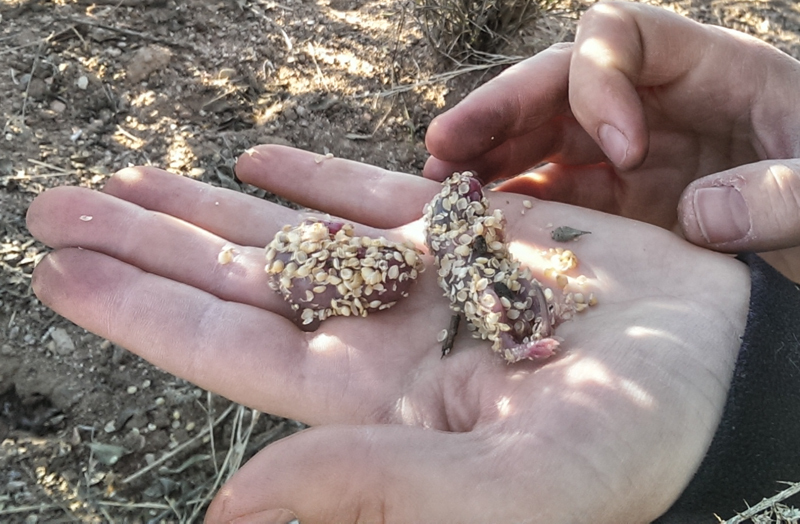 Kangaroo rat pups born in a trap overnight (they are covered with millet from being dumped out of the trap). Back in January, I speculated on this blog about some disorganized observations I had made of unusually high rodent reproductive activity (resulting in pups born in traps overnight in February). Since I followed that with a post on the importance of systematic data collection, rather than relying on a series of anecdotes, I should probably follow my own advice and provide some data analysis on the rodent reproduction. 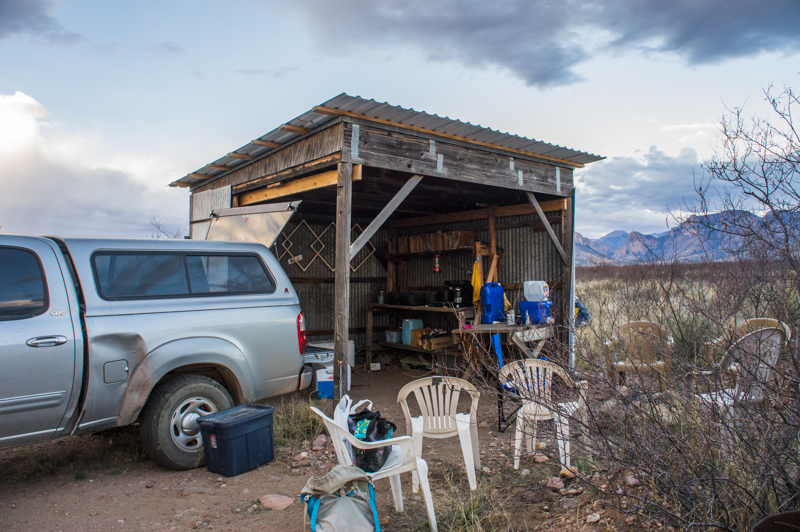 Fortunately, the observations I wrote about in January were made at the site of a long term experiment on the interactions of rodents and plants. Ecologists have collected thirty-eight years of data on rodent reproduction, along with systematic data on weather and plant life. Base camp for the long term project started by Jim Brown in 1977. Erica Christianson, a doctoral student at Utah State University, is studying these interactions at Portal as part of her dissertation work, and she crunched some of the numbers on reproduction and weather conditions (and generously allowed me to share them here!). Erica’s main hypothesis, and one I wondered about in January, was that the large rainfall in the late summer and early fall last year resulted in more seeds available in early winter. With sufficient energy to stay warm and active during the winter, females could afford to breed. You might notice a couple of things about this plot. 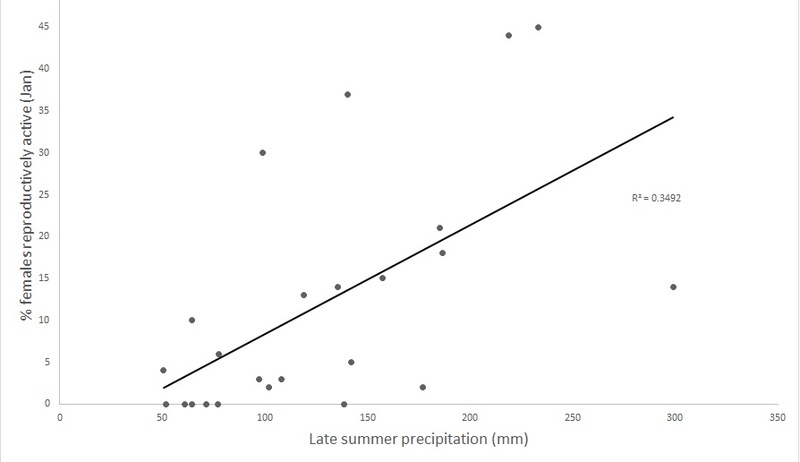 First, you would be justified in pointing out that this is a correlation, and does not prove that the summer rain causes high January rodent reproduction. But it is consistent with a reasonable explanation for it. You might imagine designing an experiment to test the causality more directly, in which all the plants are killed before they produces seeds after the next year with high summer rainfall. That would be an ambitious experiment on this landscape, involving a lot of person-hours with some herbicide or clippers, but it could be done. You might also notice that fall precipitation does not perfectly predict female reproductive activity. Probably that interacts with several other factors. Ever noticed how you get hungrier in cold weather? Your body burns more calories to stay warm. (This is why mountaineers are advised to continue eating as much as possible if caught out overnight on a cold peak.) I suspect that if we also looked at the temperatures each winter, we might find that less rain is required in warmer winters to boost female reproduction, and the rainfall plus temperature would explain even more of the variation in reproductive activity. But that probably best left to future posts. A lot of grass grew in the San Simon Valley following heavy late summer rains, providing substantial seed resources this winter. I should also point out that these results are extremely preliminary. Typically, to have some confidence in a conclusion, the full description of the methods for data collection and analysis should be subjected to peer review – that is, at least three or more other experts will critique it before it is published. That’s definitely not how my blog works. 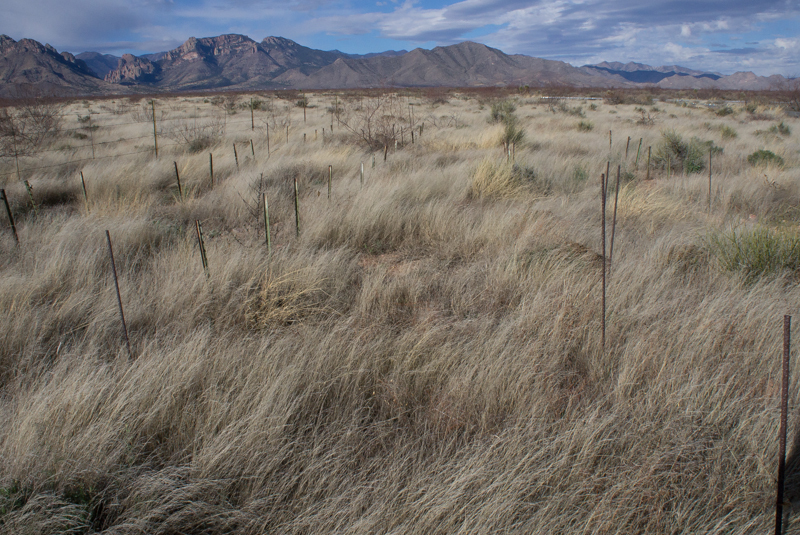 If you are interested in getting out in the field to collect data used in real long term and large scale research projects, check out iNaturalist, National Phenology Network, and the Arizona Sonora Desert Museum. If you are in Tucson this weekend for the Tucson Festival of Books, visit Science City to meet some of these folks in person and pick up brochures for other Citizen Science opportunities as well! 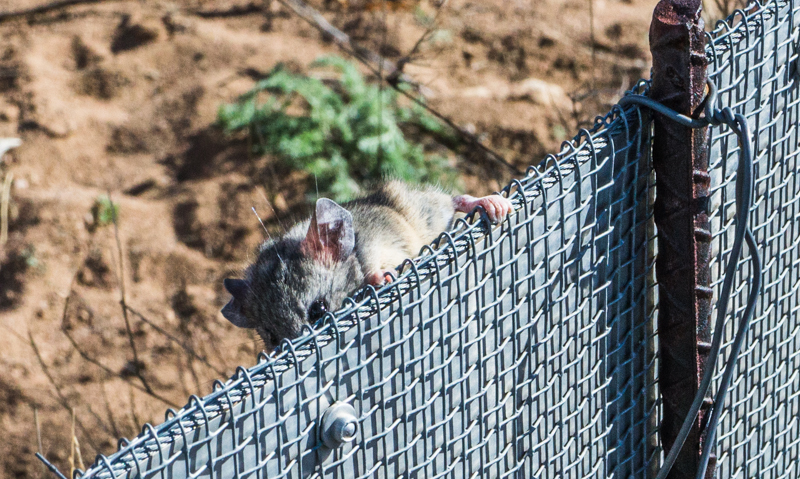 One last photo: a cactus mouse (Peromyscus eremicus) that was released and immediately climbed the fence supposed to keep the rodents larger than that out. 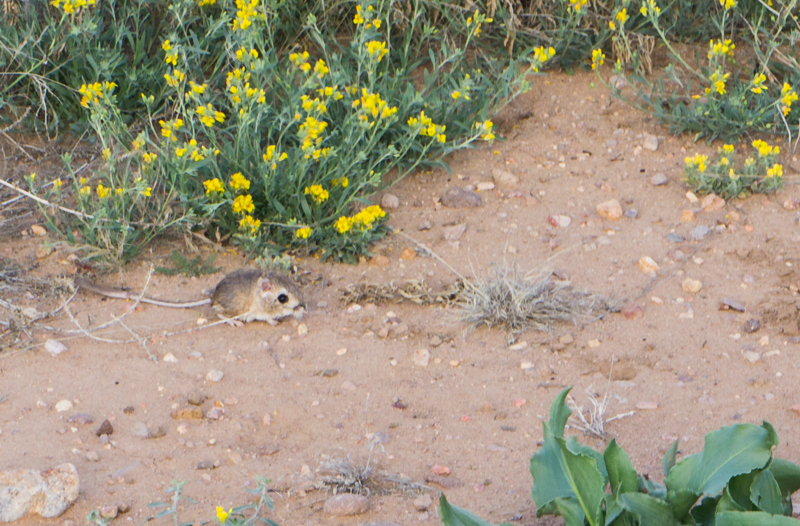 Let’s hope the kangaroo rats are less bold. Next Do people like you belong in the backcountry?